Quoted price is for playing 2 hours over 3 hour stay. Able to play outside with suitable cover. Formed in 1998, The Ariana String Quartet bring together four outstanding musicians who apart from performing with the quartet also pursue busy careers as freelance orchestral musicians, appearing with such well-known orchestras as the Halle, Liverpool Philharmonic, Northern Sinfonia, English Sinfonia, Opera North, Northern Ballet, Welsh Chamber Orchestra and English Camerata. The Ariana String Quartet are noted for the breadth of their repertoire stretching from the classical right through to popular light music, enabling them to provide suitable music for civil and church ceremonies as well as for receptions and dinners, including wedding breakfasts. Traditional wedding music choices include Wagner’s “Bridal March”, Mendelssohn’s “Wedding March” or Handel’s “Arrival of the Queen of Sheba”. Popular requests for music during the signing of the register include Pachelbel’s “Canon” and Vivaldi’s “Four Seasons”. Special requests can usually be accommodated, given enough notice, although there may be an extra charge for this service. Our quoted price covers the quartet playing for around two hours over a three hour period, but a longer stay can also be arranged by negotiation. The Ariana String Quartet are based in Yorkshire. See Pricing for details of travel costs, etc. "An extremely professional service. They were discrete when moving around the venue and played impeccable music. Well done!" I Got Rhythm, Swanee etc. Extracts from Oklahoma and The Sound of Music. Arrangements of film music, including Titanic and Gladiator. Arrangements of Chopin piano music. Arrangements of famous Italian operatic arias. Scott Joplin - Various Rags. Various Jazz and Blues numbers. Cole Porter, Beatles songs, TV theme tunes and so on. 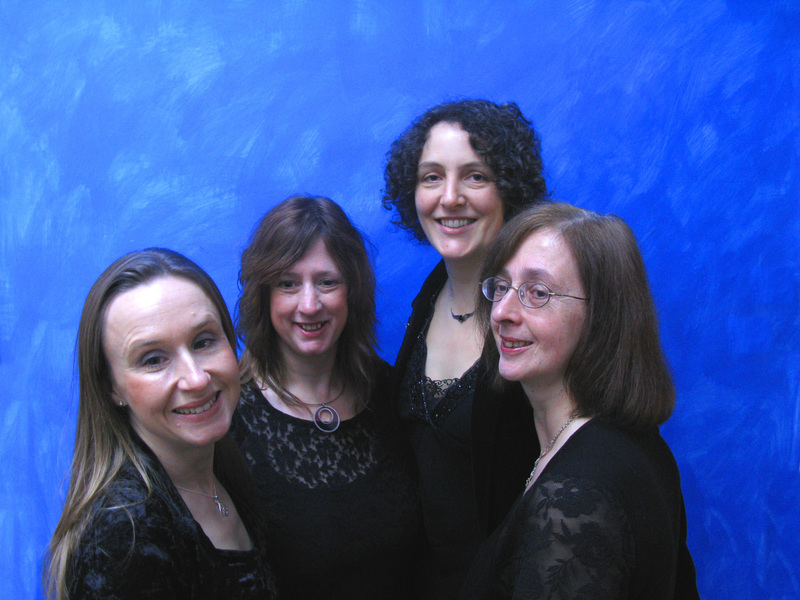 The quartet can devise a programme to suit your taste from classical to light music, or a mixture of styles. The above list gives an idea of the breadth of their repertoire, but is far from exhaustive.